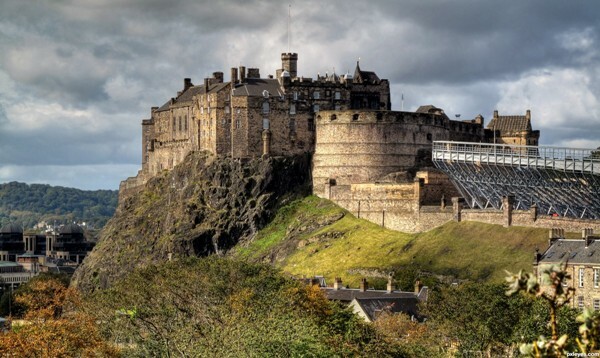 Full of history, Endinburgh Castle can be seen from every direction in the city. It is a beautiful piece of architecture and also representative of Scottish ideology. 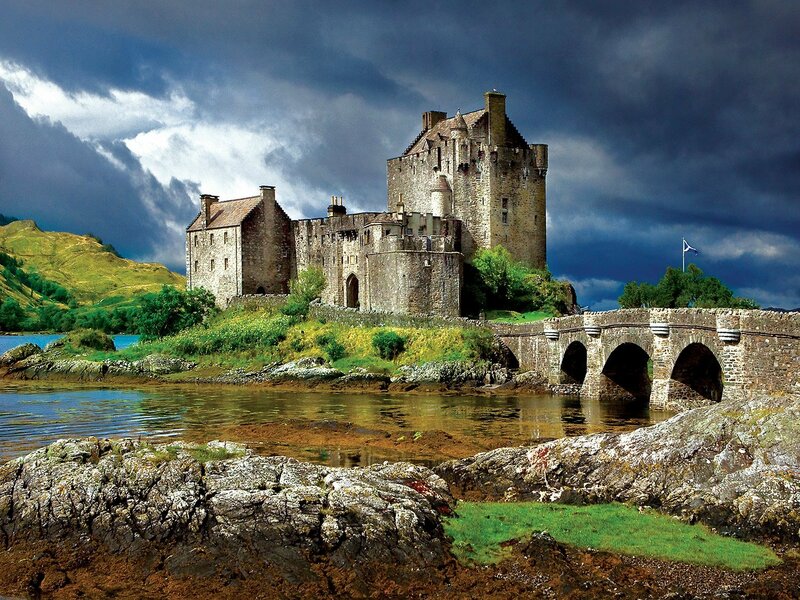 The castle was used by the Scots in all of their major battles and military strategizing. There, you can learn a lot about the past of Scotland and get amazed by the view. Eilean Donan is a small island in Loch Duich, in the western Highlands of Scotland. The island’s main attraction is a medieval castle built in the early 13th century. At that time, the castle was built as a defense method against the Vvikings. Nowadays, it is one of the most visited monuments in the country. Have you ever heard of Loch Ness Monster? In Scotland, you can visit one of the most famous lakes in the world – and the second largest in the country. 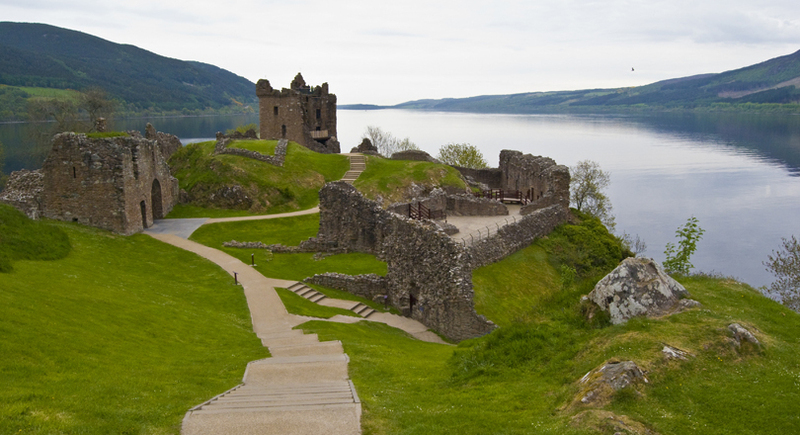 It holds the legend of a sea monster, a notorious mythical creature called Nessie. It’s such an intriguing área that you should not miss it whenever you visit Scotland! 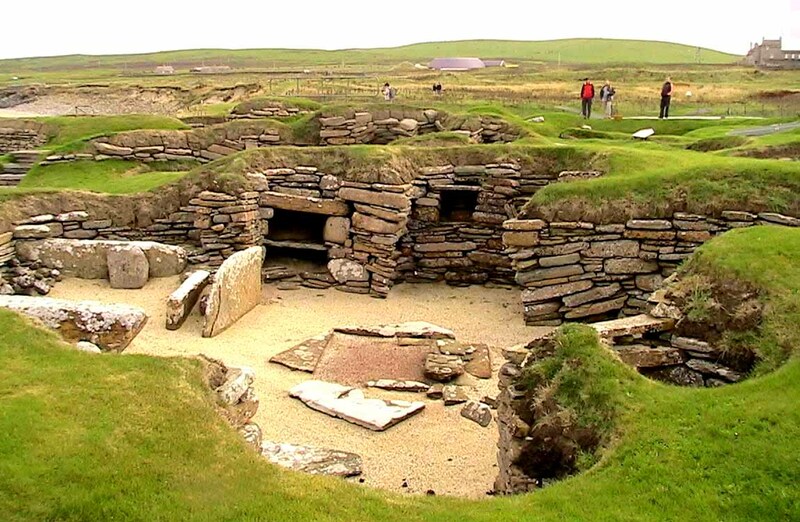 Skara Brae is a well preserved stone village located on the main island of Orkney. It was covered by a sand dune until a great storm exposed the area in 1850. The place is older than Stonehenge and the Great Pyramids and it is referred to as the “Scottish Pompeii” because of its excellent state of preservation. Picture a place where you can find the most beautiful rolling peaks. 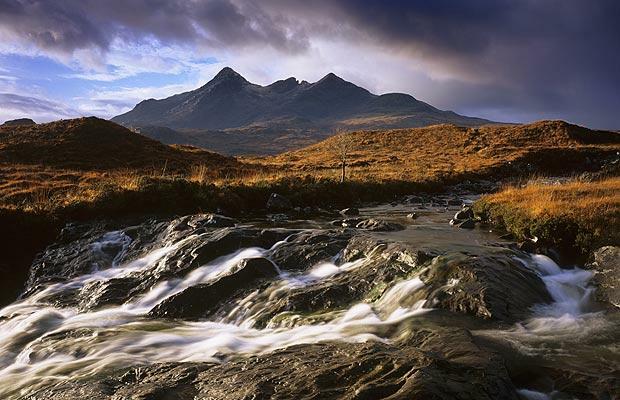 This place is Cuillin Hills, located on the most northern island of Skye. These hills are made of two diverse formations: the Red Cuillins, which are a red granite formation, and the Black Cuillins.